A top quality antislip deck paint with a coarse aggregate encorporated, dries to a hard anti slip finish, ready mixed. All surfaces should be clean, dry, sound and free from contaminants, which may affect the final finish of the Anti-slip coating, other surfaces have to be prepared and primed with the suitable primer for that substrate. Existing painted surfaces - Surfaces should be cleaned, degreased and sanded to ensure an adequate "key" is produced. Remove all loose and flaking material and treat bare areas as new substrate and prepare accordingly. Teamac Suregrip® Anti-slip Deck Paint is a safety coating for use indoors and outdoors where a sure foothold is required. Can take heavy foot traffic. 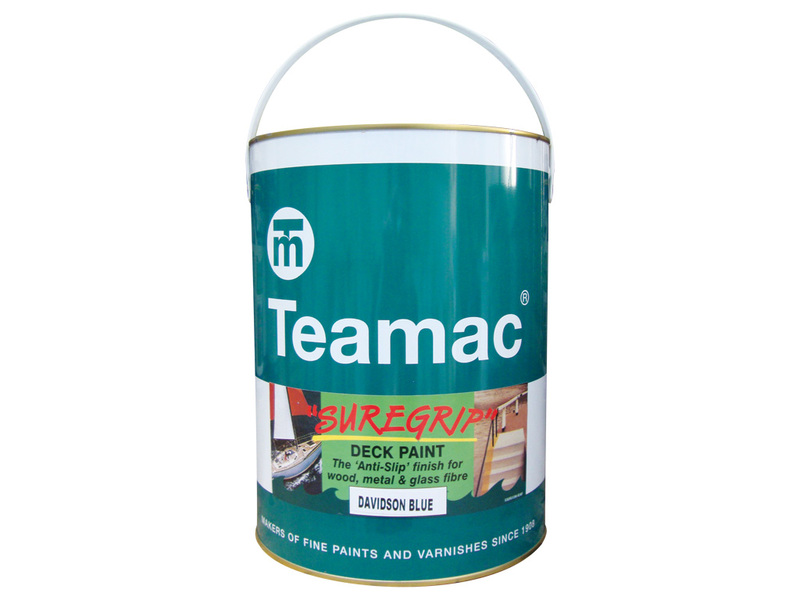 Can be used on wood, metal, concrete, GRP and other suitably prepared surfaces which require an anti slip surface.